Welding is a versatile line of work with much to offer. However, no matter what direction you want your future welding career to take, there are some important steps to take. Here are four important milestones that are possible on your welding career path. Once you have received your high school diploma or GED, you can sign up for welding training at an accredited welding school like TWS. Course material includes work safety practices, cutting torch operations, blueprint reading, welding codes, welding symbols, and drawing sketches. Naturally, welding students will also learn about different types of welds and which process to use for different metals. Career preparation training is provided to teach students how to apply for jobs, write a resumes, and adopt professional attitudes. After completing your training, you should have the basic skills to take a welding certification test and find an entry-level job. Some employers come to trade schools to talk about job opportunities and to administer certification tests. Checking with career services at school is also a good way to learn where the opportunities are and to prepare your resume and interviewing skills. While the classes you take in welding school provide a solid foundation to build a welding career, you can absolutely keep learning and expanding your skills to advance in the field. Getting that first job is an important step. You will gain a lot of experience on the job. If you’re looking to gain new skills, you return to school and learn to be a welding inspector. Some companies may even pay for school. Welding can be an exciting career choice for anyone who is willing to learn the skills and work hard. 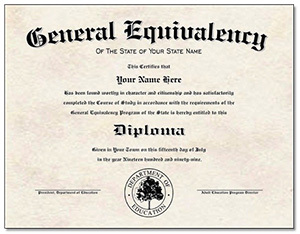 If you think this profession may be right for you, first you must get your high school diploma or GED. Then you can enroll in trade school to learn welding.